The Warwick Black Label 39210-ML are roundwound strings that are handmade from stainless steel with an expiring winding towards the ball end (Taper Core). 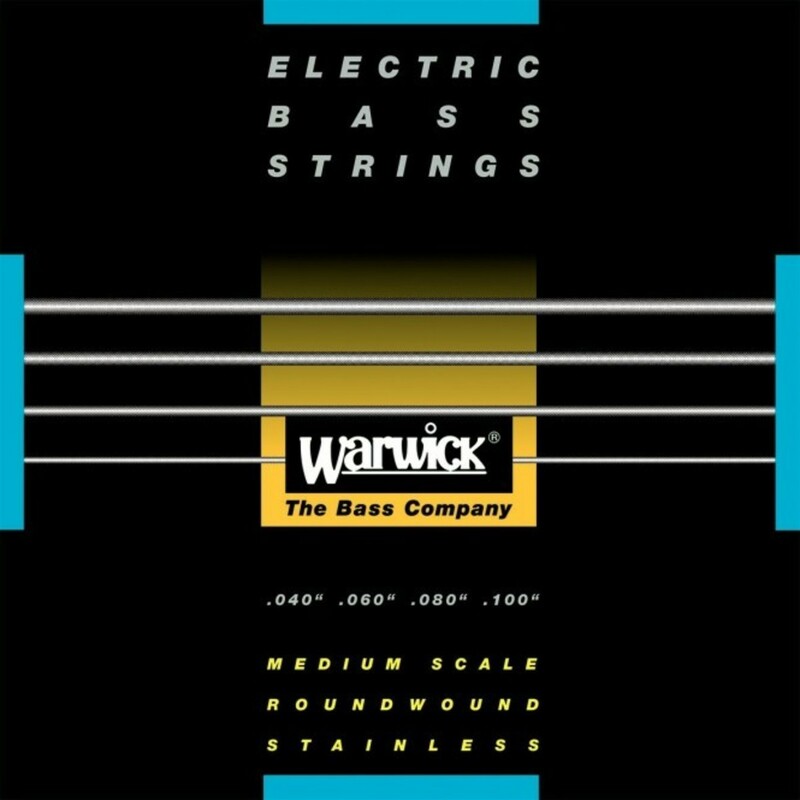 Enjoy a full, brilliant tone and precise intonation with these durable bass strings from Warwick. These Warwick bass strings boast carefully chosen materials. The adjustment of core and winding wire give an even tension, well balanced overtone responses as well as an even magnetic response when being picked up. The set consists of .040", .060", .080", and .100" sizes.